February was a month of lifestyle changes, home cooking and healthy eating after the ever so indulgent January last month. I really want to get my health on track, feel good about myself and stop feeling tired with no energy all the time. From February onwards, I have been exercising regularly, eating loads of vegetables, cutting out grains, sugar or simple carbohydrates and not drinking and I feel amazing. 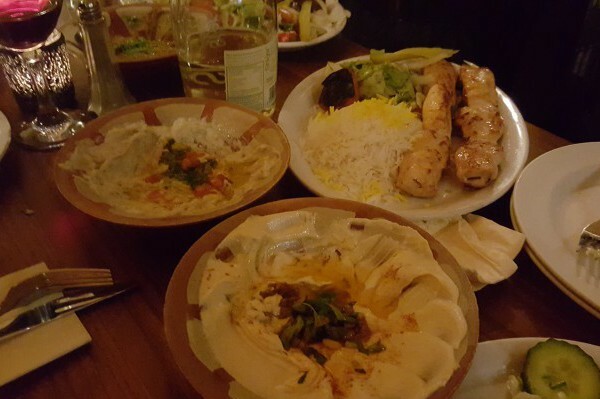 Spread at Kambis Brighton – my first time! In saying that, my first meal of the month was at Kambi’s for a colleague and friend’s leaving dinner but I chose healthy options – don’t you worry your little cotton socks. I can’t believe it was the first time I had been! There was a big group of us and the service took awhile to get going, but the staff were friendly and pleasant enough when we were there. The picture shows the array of dishes my friends chose between them, but me and another friend shared the chef’s special prawns which were incredible! Sadly I did not get a pic as I was so hungry I had to eat them, but I would recommend them if you go. We also shared a couple of veg platters, and everything was so fresh and tasty it really was a treat. As part of my lifestyle change I decided to start walking to work everyday (except when raining) as after getting a new phone that tells me how many steps I was doing, I realised I wasn’t doing nearly enough! It takes 45 mins so it’s not a short walk, but on some of the lovely crisp winter mornings we have been having, I find it’s a really great way to start my day. 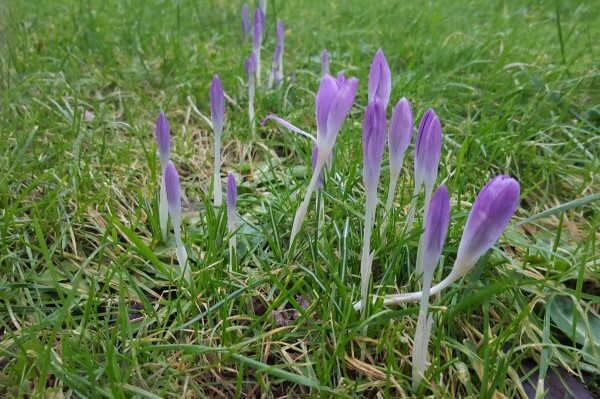 Crocuses once opened – such pretty colours! If you live in the UK you will know that for most of the Winter it has been unusually warm, and even in December we were noticing daffodils springing up all over the country. 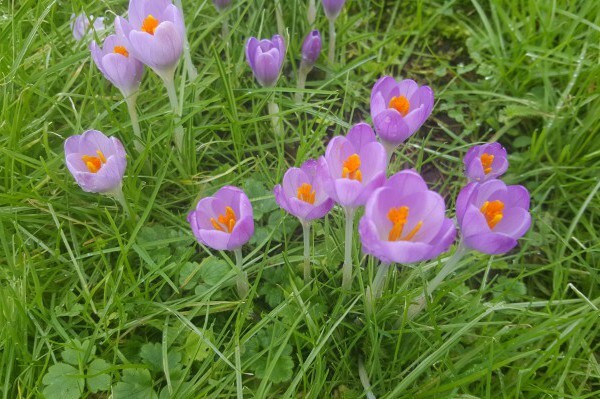 On my walk to work I noticed that too, as well as these lovely crocuses, aren’t they pretty! I was especially pleased when one sunny morning I strolled past them and they had opened to reveal bright orange middles. The colours are so bright and wonderful. After my inspiring visit to Purezza, a new Plant Based Italian Pizzeria on St James Street, I looked up a recipe to make vegan cheese with cashews. 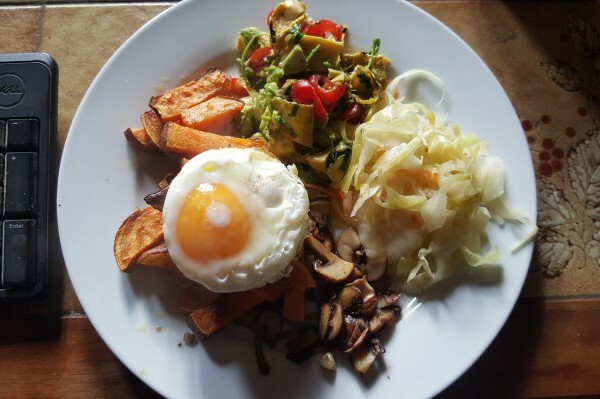 I found this easy recipe from Nutrition Stripped, so thought I would give it a go. 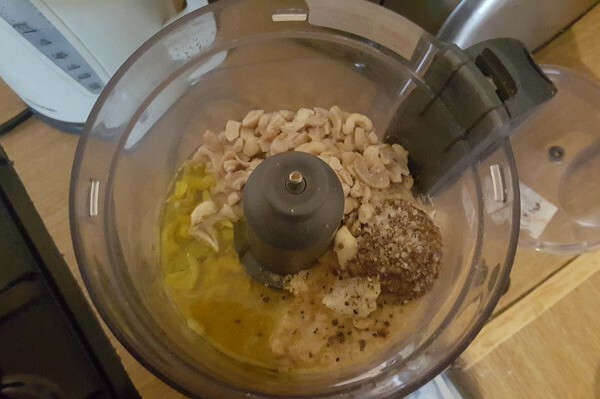 You need to soak the cashews to soften and activate them for at least an hour, then all you do is whack all the ingredients in a blender and leave it in the fridge to set for a bit. If you don’t have a thermomix (like me) then it might be a little grainy, but it still tasted delish. I made the truffle version first time round, but the truffle oil I had was flavourless and very disappointing so that was a shame. 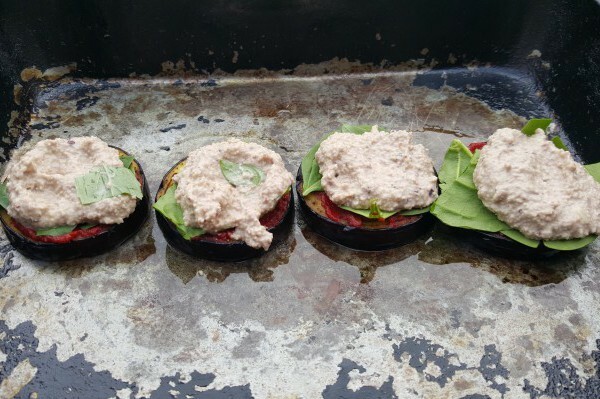 I ate it as a dip, on steamed veg, on a pizza and on a tasty aubergine parmigiana snack I invented. 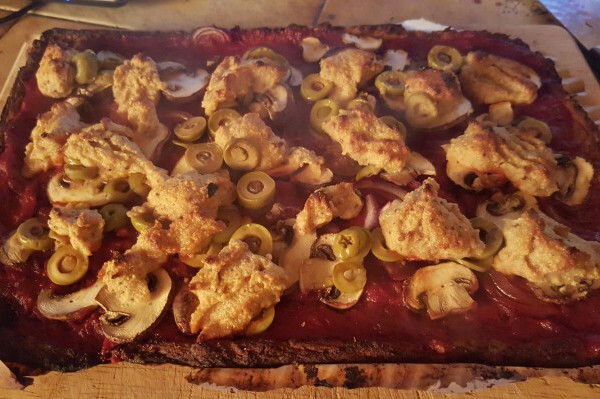 The pizza I made with a cauliflower base, but tip for next time, don’t cook it on parchment paper it will stick! We ended up scraping it off the paper and it was still really good, and I spoke to my friend who said she tried foil which worked best. 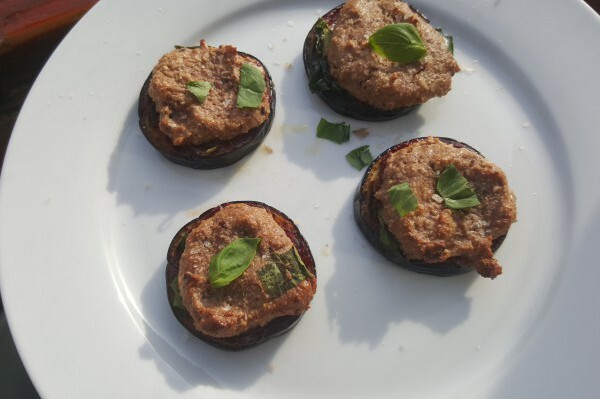 The aubergine parmigianas turned out really tasty, all I did was charred the aubergine on both sides in a hot pan before spreading with tomato puree, fresh baby spinach, cashew cheese and basil and then baked in the oven until slightly brown on top. They were juicy and savoury but slightly sweet and I would recommend giving them a go even if you’re not lactose intolerant or vegan! I had a bit of a girly day out with some friends which was lovely. I got my first ever pedicure (I know, shock horror)! I hate people touching my feet so it was a milestone for me, I also got my haircut and we all went for lunch at Big Bowl on Preston Street. 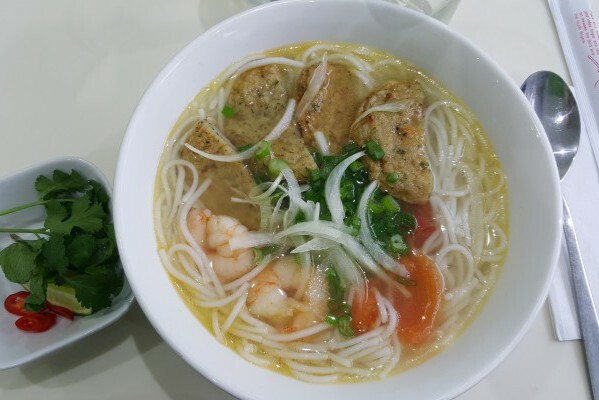 Big Bowl is a small Vietnamese Restaurant that serves authentic Pho and other dishes for a really reasonable price and are all really tasty. There are only 2 authentic places to get Vietnamese in Brighton currently, here and at Milk No Sugar on Trafalger Street. Pho the chain is great for what it is, but you know what I mean. Because I have been eating super healthy I have been cooking more at home and trying out new recipes. 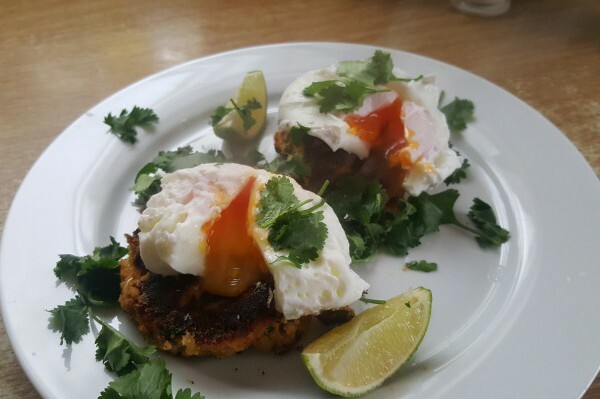 This one above was one of my favs for the month, I made them with tinned salmon, sweet potato and herbs and topped them with poached eggs. I adapted them from Jamie Oliver’s recipe but replaced the normal potato with sweet potato and they were great! Really easy and nice and healthy. I finally tried making sauerkraut! 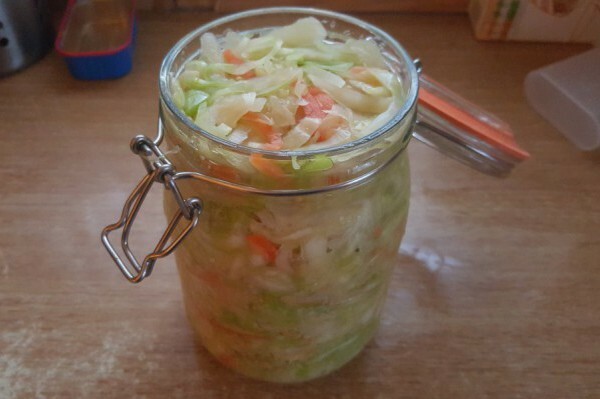 I was inspired by ex master chef professionals contestant Joey O’Hare who I follow on Instagram, and once looking up some recipes online and seeing how easy it was I went straight to the shop to buy a Kilner jar and some cabbage to give it a go! I used this recipe from Healthy Bliss which seemed pretty straight forward and it was. All you do is finely shred the cabbage, massage in some salt, and then pack into a jar to leave it for a few days! It’s really cool as the liquid starts to appear almost straight away, and then each day the smell gets stronger and you can see it bubbling away in the jar. I added mustard seeds and carrot to the jar too which gave it a nice kick. Here is a pic of my breakfast I had with the sauerkraut (sounds like we had a breakfast date). I had sweet potato chips, garlic mushrooms, avocado and artichoke salsa, and a fried egg with it. I went back for second helpings of the cabbage as it was sooo yum. This is only on day 6 of fermenting too so I bet it’s just going to taste better and better.